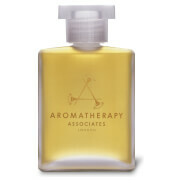 Revive your spirits, re-energise your body and enhance your feelings of self-esteem and sociability with the luxury Aromatherapy Associates Revive Evening Bath & Shower Oil. Purely natural with nothing added, Aromatherapy Associates Revive Evening Bath & Shower Oil has been expertly blended with Geranium, Patchouli, Sandalwood and Ylang-Ylang, to create fragrant bath or shower to help restore a flagging mind and body. Perfect for pepping up the senses and great for getting in the party mood. 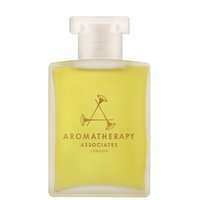 Aromatherapy Associates Revive Evening Bath & Shower Oil 55ml was found on 5 websites and was price compared using EAN: 0642498000607. 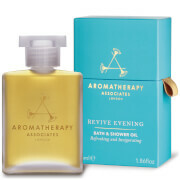 The cheapest Aromatherapy Associates Revive Evening Bath & Shower Oil 55ml is shown as the main item, prices range from £49.00 to £49.00, excluding delivery. Price comparison based on price and delivery charges, with any valid discount codes being applied, is shown in the table above. Prices and information correct at the time of publication.